Modifying your device will void the warranty provided by the manufacturer! 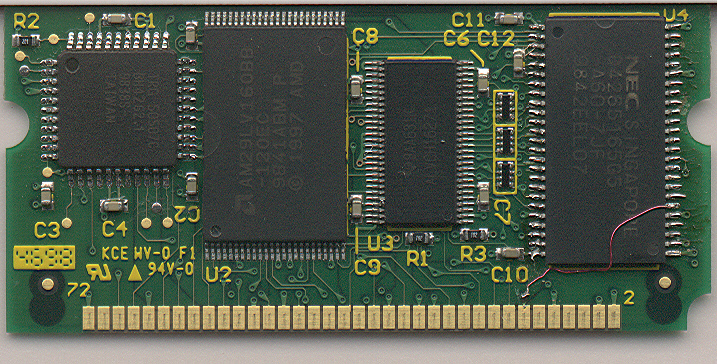 Prepare the replacement RAM chip by bending pin 31 slightly up (to prevent it from touching the board once it is installed. Don't break it off, you'll need to attach a wire to it later. Connect a small jumper from pin 31 to the connector strip #14 (7th from the right). Try to avoid soldering directly to the gold pad. There are 7 steps required. Connect the 5 jumpers are illustrated. 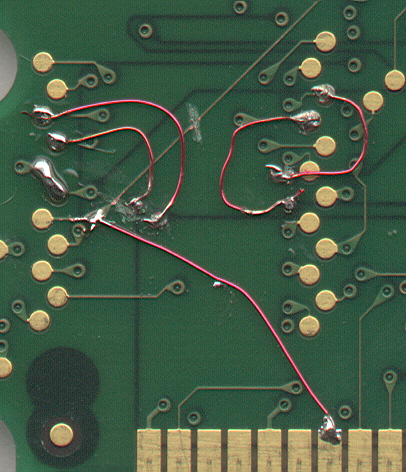 You may need to remove some of the green solder-resist material first. 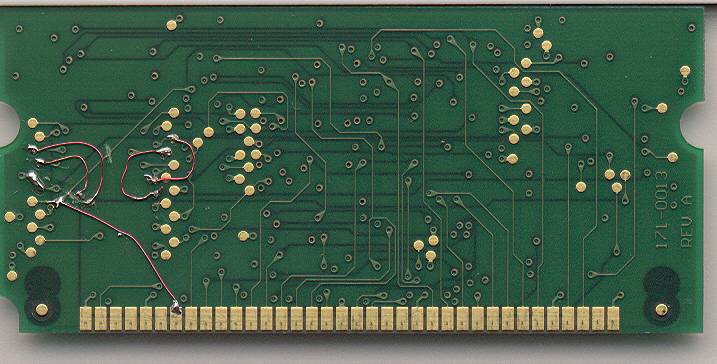 Add a small jumper, or just flow the solder over the two very close gold contacts at the left of the board (see illustration).